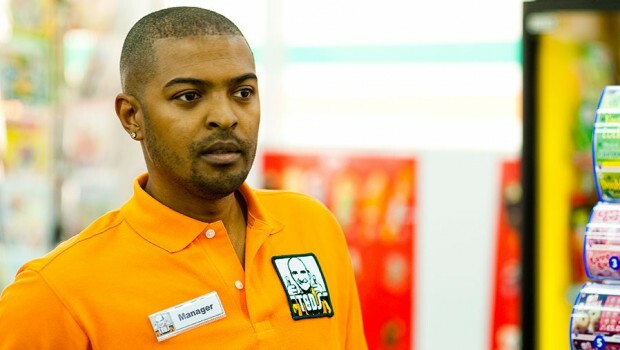 Noel Clarke Interview: 4.3.2.1 Go! But like him or not, Clarke is certainly a force to be reckoned with. Having won the BAFTA Rising Star award in 2009, he’s using the resulting clout to further not just his own career but those of other up-and-coming British filmmakers too, like Mark Davis, the technical whiz with a co-director credit on 4.3.2.1: “I’ve been mates with him for a long time, he’s got the directing skills of Spielberg and the VFX skills of Lucas in one guy. And in a few years time, people will know; there’s a sci-fi film that I’ve written that he’s going to direct.” He also has a comedy script finished, and even a prospective epic that may film in Scotland, an idea that stuck with Clarke after he acted in Neil Marshall’s Scottish-set Centurion (“the vistas where we shot – Lord of the Rings a hundred percent!”) Oh, and he’s a jobbing actor too, we’ll see him next in Ben Miller’s stand-up comedy buddy-movie Huge. 4.3.2.1 is on general release from 2nd June.